LEED v4 is mandatory starting November 1. 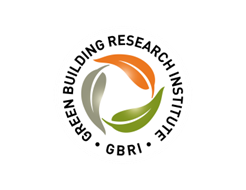 To ensure all of our members and friends know the latest and greatest, USGBC-Illinois has partnered with GBRI to offer this great, 2-hour, LIVE webinar on November 18. Join us to learn everything you need to know about LEED v4 and earn your LEED-specific continuing education credits, too! With lessons learned from over 40,000 projects from around the world, LEED is continuing to transform the market in more than 150 countries. With more than 23,000 public comments and test driven by 123 Beta projects , LEED v4 is here and is about taking that impact to the next level! Are you ready for LEED v4? Join us as Learning Hub @GBRI presents “21 Things You Should Know About LEED v4 and How does it affect you?” With contributions from more than 10 LEED subject matter experts, this is a must watch course for all LEED and green building professionals. Examine why the new LEED V4 BD+C rating system is needed in the industry now and how it was developed. Understand what has changed and remained the same with previous versions of LEED compared to v4. Analyze the impact categories and system goals as well as allocation of points for the LEED BD+C rating system. Understand the concept of integrated process as it applies to professionals and projects seeking LEED v4.0 certification. Can't attend this LIVE session? You can always find this webinar and more on-demand through Education@USGBC webinar subscription.